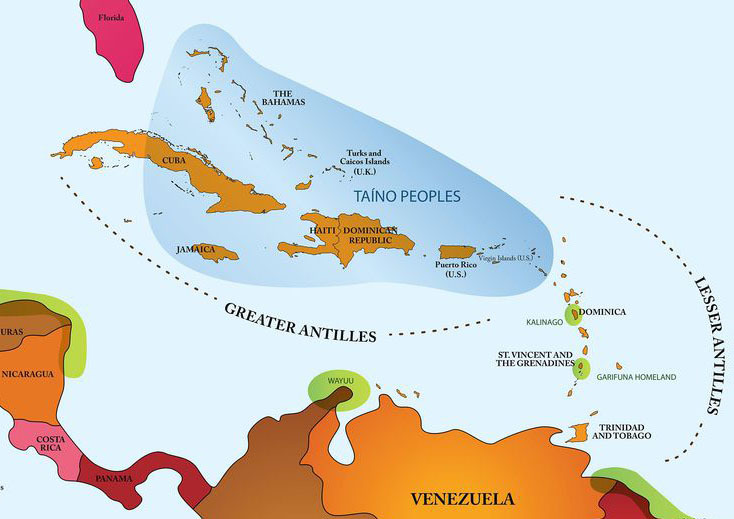 Linguists and then archeologists of the 19th century used Taíno to group together the various Arawak-speaking peoples in the Greater Antilles. Source: Smithsonian Exhibits, 2017. Ceramic vessel with tortoise representation. Many Taíno objects are in the shape of turtles, an important animal in Taíno creation myths. Source: Taíno Museum. See more artifacts and learn about the museum. Columbus’s portrait of the mild, soft, and gentle Taíno may conceal that they also tenaciously resisted the Columbus regime, once its exploitative and deadly nature became clear. This resistance has been called the first anti-colonial guerrilla war in the Americas. 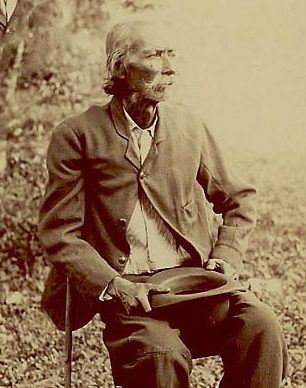 It began as early as Columbus’s first trip back to Spain, when he left 39 Spaniards at his La Navidad settlement, confident that the powerful Spaniards could handle the supposedly timid Taínos. 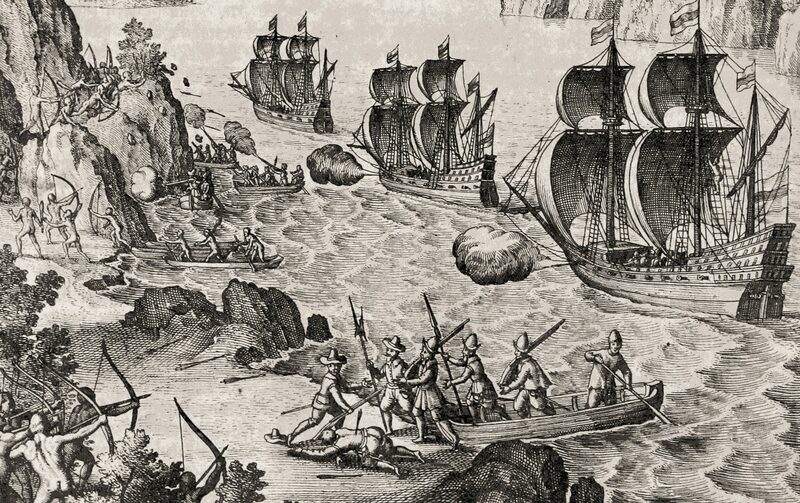 In response to the Spaniards’ rapacity, the Taínos killed all 39 Spaniards, and burned their fort. 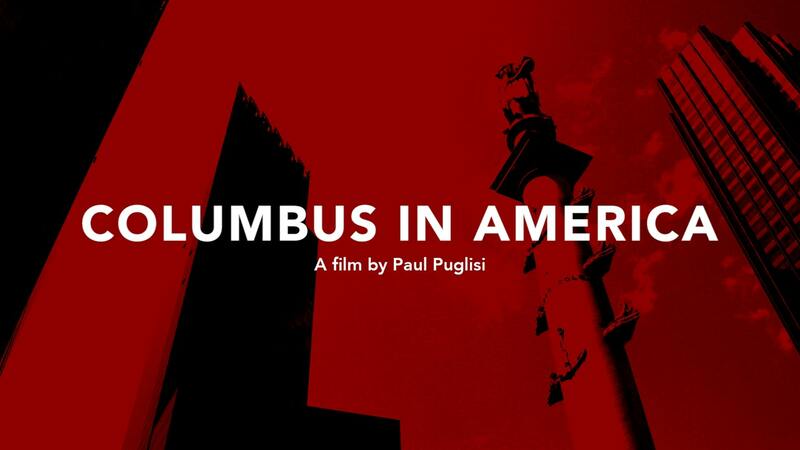 If Columbus’s first trip, with three vessels and maybe 100 men, was an exploratory probe, the second trip, with 17 ships and between 1,200 and 1,500 men, was a full-scale invasion. When slavery turned out not to be profitable on la Española (the island that today is Haiti and the Dominican Republic), Columbus instituted a tribute system for the Taínos, demanding quotas of gold and cotton, with sadistic punishments for those who failed to comply. This system was “impossible and intolerable,” wrote Bartolomé de las Casas. The Taínos continuously resisted the heavily armed Spaniards. 16th-century sketch by Theodor de Bry. The Columbian Exchange benefited people all over the world. Potatoes from the Americas became an important food for most Europeans. Corn became an important crop in Africa. Sweet potatoes were grown as far away as China. Today, tomatoes, peanuts, and American beans and peppers are grown in many lands. This is how the textbook story ends: wondering about the eating habits of Europeans. Let’s remember that enslaving Africans and shipping them to the Americas was also a part of the so-called Columbian Exchange. Africa was not only a receptacle for American corn. Columbus was granted the first royal permit to bring enslaved Africans to the Americas in 1501, less than a decade after his arrival. Jamaican of Native descent. Source: National Anthropological Archives, Smithsonian Institution. Columbus’s treatment of the Taíno people meets the UN definition of genocide. But there has also been a curricular genocide — erasing the memory of the Taíno from our nation’s classrooms. 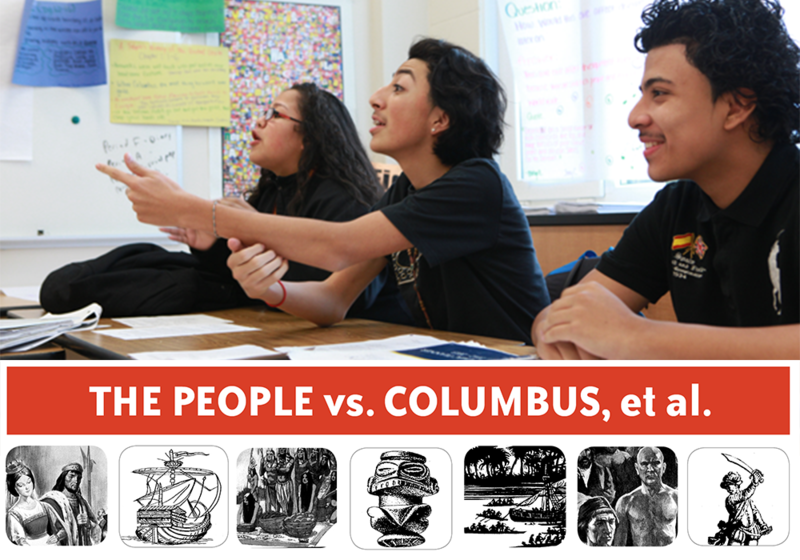 How else can we explain students’ universal recognition of Columbus and almost total ignorance of the name Taíno? 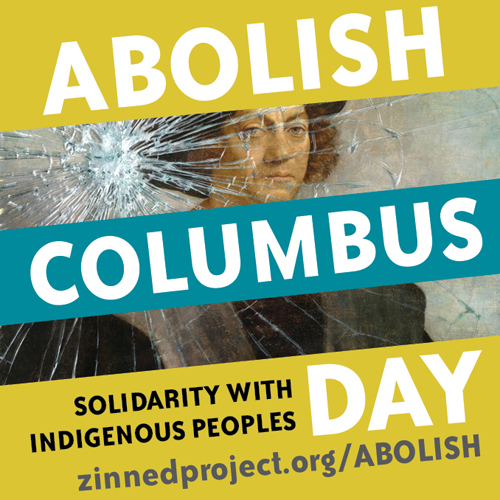 As we work to replace Columbus Day with Indigenous Peoples Day in our communities and schools, let’s work to remember the people who were here first. Their lives mattered 500 years ago, and they matter today.